Patients suffering from diseases often cannot consume bigger quantities at once even though the body needs more energy to heal and recover. This loss of appetite combined with the increased nutritional needs may lead to cachexia, or wasting syndrome. Cachexia is the final stage of the process of malnutrition. It is characterized by muscle atrophy, fatigue, weakness and above all an involuntary loss of body mass that is difficult to be reversed nutritionally. So, even if the patient eats more, lean body mass will be lost indicating that a primary pathology is in place. If the patient has cachexia, the chance of serious consequences from the underlying condition is increased dramatically. Therefore it is crucial to prevent or treat this condition by medical nutrition. 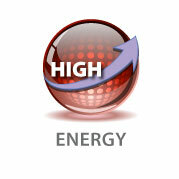 An increased energy intake is beneficial for patients for several reasons. Consequently, a high energy intake must be provided in a small volume format, so that patients will get the energy they need without having to eat more than they are willing or able to. The energy level of MediDrink Plus is among the highest on the market with a value of 200kcal in 100ml, that means 40 to 50kcal more than most of the competitors’ products. MediDrink Plus has 4 main features addressing 4 major needs of disease-related malnutrition. In the following sections you can learn about each feature and find out about the numerous benefits they bring you. In short, maintaining the optimal protein balance is crucial for patients suffering from any illness. Containing 16 grams of protein per 200ml, MediDrink Plus supplies this majorly beneficial high protein intake. 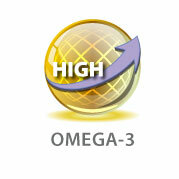 Omega-3 fatty acids are essential fatty acids, meaning that they cannot be synthesized by the human body. However, their sufficient intake is crucial as they are vital for normal metabolism. MediDrink Plus contains a high level of omega-3 fatty acids thus contributing to your medical treatment in a number of ways. Attilio Giacosa, Mariangela Rondanelli: Fish oil and treatment of cancer cachexia; Genes Nutrition; 2008; 2, 25-28. Biochemical pharmacology; 1991; 41; 103-10. Unlike normal cells, most malignant cells need high amounts of glucose which is readily available from blood for energy, and for the forming of tumour tissues, while they are frequently incapable of breaking down significant amounts of fatty acids and ketones2 – intermediates of fatty acid breakdown. Thus, energy – sourced from fatty acids – is provided rather for normal cells than for malignant ones. Research has also shown that chronically high blood sugar and insulin levels advance the formation of tumours and reduces the chance for positive outcome of treatment.3 The high blood sugar and insulin levels are generally a consequence of diets mostly containing carbohydrates (potato, rice, pasta, bread, sweets etc…). COPD patients also benefit from low carbohydrate (and thus high fat-source) energy. Since less carbon-dioxide is produced from the metabolism of fatty acids than of carbohydrates, pulmonary load is lower which is beneficial for COPD patients who already have reduced lung functions. Thus, providing energy from sources other than carbohydrates has a number of positive effects in many different conditions. 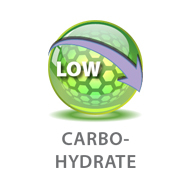 The carbohydrate energy of MediDrink Plus is the lowest (22%) and the fat source energy of MediDrink Plus is probably the highest on the market of general sip feeds with a value of 60%, as opposed to the average of approximately 25-35% of competitors’ products thus may resulting in a better “anti-cancer” and beneficial COPD effect according to literature findingsThe fat source energy of MediDrink Plus is probably the highest on the market of general SIP feeds with a value of 58.10%, as opposed to the average of approximately 25-35% of competitors’ products thus may resulting in a better “anti-cancer” and beneficial COPD effect according to literature findings.